In August 25, 1936, at the advanced age of 92, passed away the beloved, genial, rugged old pioneer, Juan Murrieta, one of the introducers and earliest growers of avocados in California. A native of Spain and early well schooled, he possessed a fine, old-fashioned courtesy and manifest friendliness that endeared him to the hearts of all who were so fortunate as to meet him. Naturally modest and reserved in the presence of strangers, this reticence melted with growing acquaintance and he became, to friends, the chatty, jocular, occasionally witty gentleman who harbored no enmities and who grew increasingly closer to his intimates. So it was with deep regret and unfeigned sorrow that all heard of his passing into that tranquil slumber which marks the end of "each good soul and true." Juan Murrieta left Santurce, Spain, where he was born October 1, 1844, at the age of seventeen and came to the United States, continuing by water around Cape Horn, to California. His two brothers preceded him to this continent. His brothers remained far South, one in Brazil, the other in Peru. Our Don Murrieta joined in the sheep business at Merced, owning at one time more than 100,000 sheep. One brother, Iziquel, preceded him in the enterprise. Later, when a noted drought came, they moved their immense herds across the Sierra Nevada, in search of adequate water and feed. They were the first white men to reach Long Valley and the head waters of the Los Angeles aqueduct supply; finding no inhabitants except friendly Indians. Still later they returned to Merced and finally came south and purchased the Temecula and Pauba ranchos in the Temecula Valley. These comprised 52,000 acres, for which they paid one dollar per acre. Years after Juan sold all his lands except about 1,000 of the choicest tillable acres each worth several hundred dollars. He afterward moved to Los Angeles and subsequently sold this land to the Barnett family, who still retain it. The town of Murrieta was named for him. With Jose Gonzales he helped move the Indians to the Pachanga reservations. Coming as a permanent resident to Los Angeles in 1886, in 1887 he was sworn in as the county's first deputy sheriff. This post he held until retired with honor in 1927, a faithful, efficient service of forty years, nearly all as office treasurer. Knowing a little about avocados, his interest grew until in 1892 he began corresponding with a Senor Fuentes, Wells-Fargo agent at Atlixco, Mexico. This resulted in his importation of large baskets of fruits of many sizes, shapes and shades of color. I used to study and taste some of these at the Murrieta home at 765 College Street. Some of these fruits and many of the seeds were given to friends at various times, but no trace is now known of any resultant trees. Here originated Murrieta Green, Two-pound Green, Colorado, and others. Between fifteen and twenty avocado trees at one time were growing on the hillside at each side and to rear of the residence. 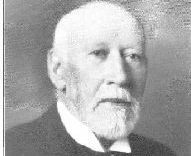 In early manhood Juan Murrieta was united in marriage with Adele M. Golsh, who was born in Vienna, Austria, in 1856. Mrs. Murrieta passed away at Los Angeles, in August, 1921, leaving a devoted husband and three loving children. The latter, still surviving, are, in the order of their birth: Dr. A. J. Murrieta, Mrs. Otis Houghton, and Henry Murrieta. Mr. and Mrs. Murrieta were both very fond of and familiar with a considerable variety of flowers and plants and grew many choice ones. I often met them at flower shows, over a period of many years. Juan Murrieta's favorite plants were largely tropicals. His especial favorites were the plumerias, native to the West Indies. They are sometimes called frangipani's, being the source of the rare perfume of that name. Next in preferment came Lapageria rosea, the only species of a climbing lily, native to Chile. But he loved all plant life and was much interested in tropical and subtropical fruits. After retiring from a long and appreciated public service he deeply enjoyed being in the midst of these, his mute, immovable fellow creatures. He also loved to interest others in rare plants and fruits and gave away many of the former over more than a generation in time. With his passing, all might say, as was said of old, "Well done, thou good and faithful servant." *This document was written after the death of Juan Murrieta in 1936 by Ernest Braunton. This was converted from it's original form, a PDF document, that can be found on the avocado source website if you click HERE.